Wednesday – Jean went to the Children’s Centres Network Meeting, which replaces the previous South, East and Central area meetings, to enable better sharing of information across Warrington. This inaugural meeting was chaired by Paula Worthington, although future meetings will have an independent chair. The offer now runs from 0 – 10 year olds, incorporating Education, Health and Social Care. The group went through their self evaluation – looking at what they do well, any gaps, and priorities for the future. At the same time, Sharon and Gail met up with Susan from the Wired Carers Centre. This was a very interactive meeting where we looked at ways that WarrPAC and Wired can work together – Wired offer lots of services that could be very useful for our families e.g. Carers Emergency Card, Counselling, Drop-Ins, Young Carers, Training / Awareness Raising. We look forward to working more closely with Wired in the future. 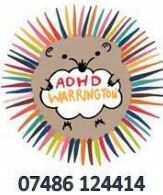 In the evening, Jean ran the ADHD support group, which meets monthly at St Oswald’s Social Club in Padgate. This month, the focus was on medication, although there is always the opportunity to meet up with other parent / carers. 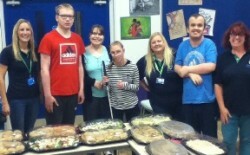 Thursday – we posted a lovely video of the fab work that our sixth form did in catering for our AGM – Click Here To See The Video. Friday – We hosted a coffee morning with PSS – Person Shaped Support – looking at Education, Health and Care Plan issues. This was a very busy session, which was really helpful for our families. Contact links for PSS and SENDIASS services can be found in our “Introduction to Education, Health and Care Plans” guide. CLICK HERE to view this guide. Monday – Sharon and Gail met up to go over a number of things that we’ve got in the pipeline. Tuesday – Even though it’s half term for most of us, and our young uns are at home – we’re still chasing up on a number of issues that our families have raised with us. Keep the feedback coming in! Apart from the meetings, the whole team is busy chatting to families, keeping in touch with the current issues across Warrington. Please email us if you have anything that you’d like to bring to our attention. We’re also planning our new flyers to give a better introduction to our work, future training and our Christmas Fair – keep your eye on Facebook, Twitter and our website for more information.